I was down around the Kilkieran way today. 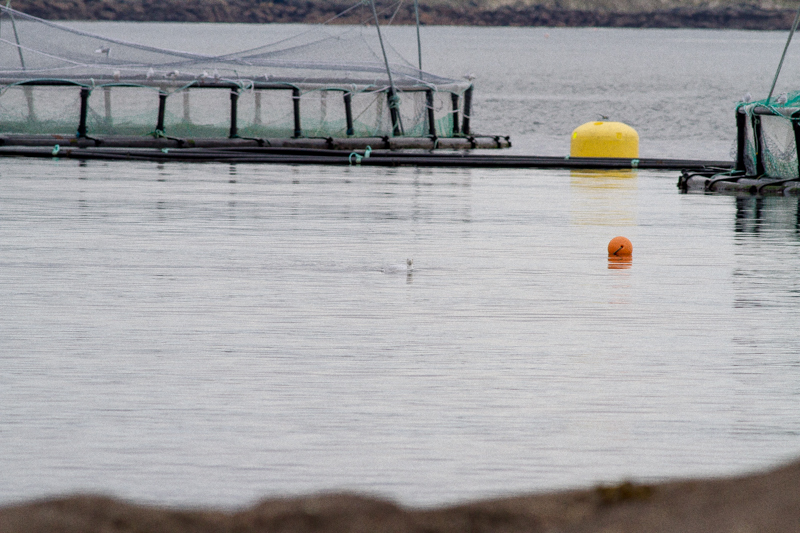 A fish farm just off Ardmore Pier has started up in the last year and has received a gathering of gulls, mostly Black-headed Gulls. It's becoming a bit a struggle to find any location in the county in recent years that attach more than a dozen large gulls. Nimmo's Pier, Rossaveel Harbour and a lot of the previously productive Connemara fish farms are a shadow of what they once were. 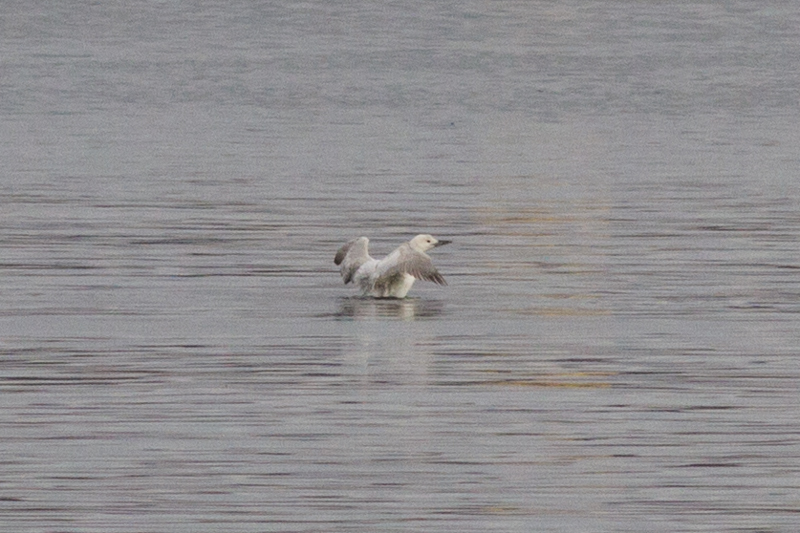 I probably saw less than 30 large gulls in all at Ardmore today which included a very brief flyover first-winter white-winged gull. 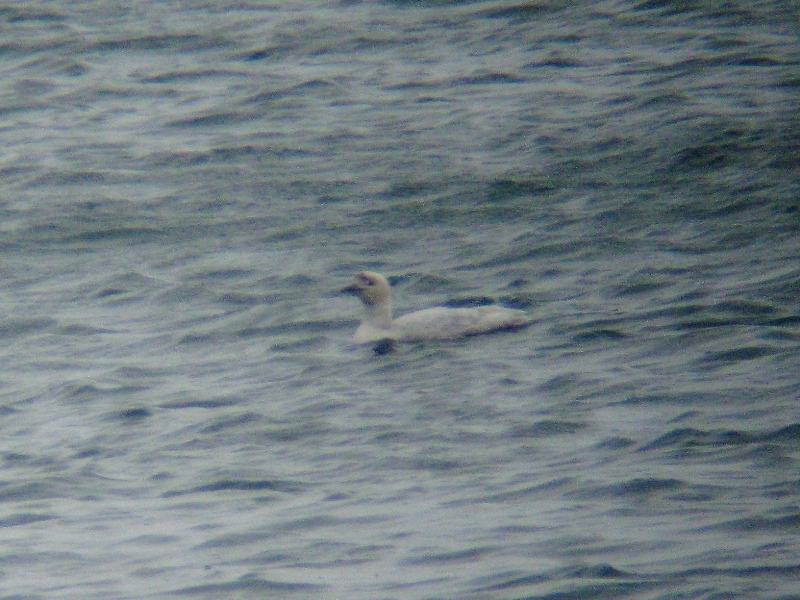 I also had a white colour ringed adult Mediterranean Gull also here (too far to read). 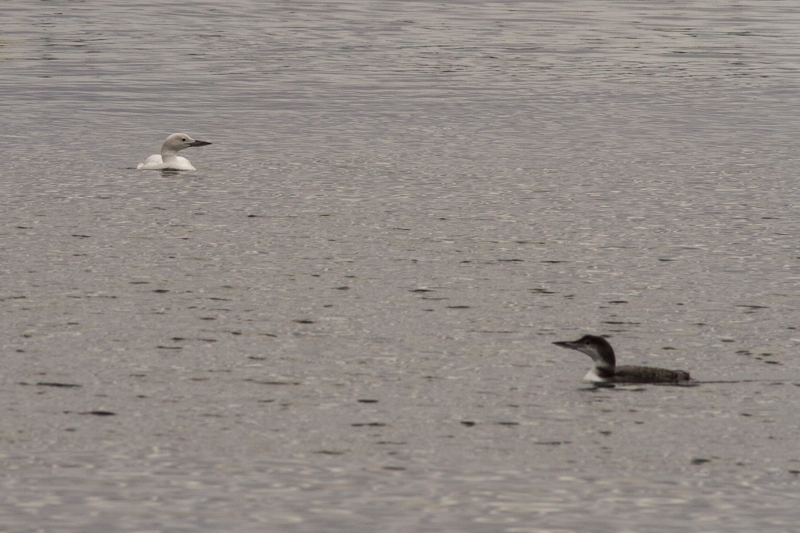 While looking through the gulls I noticed a few Great northern Divers feeding quite close to the fish cages. 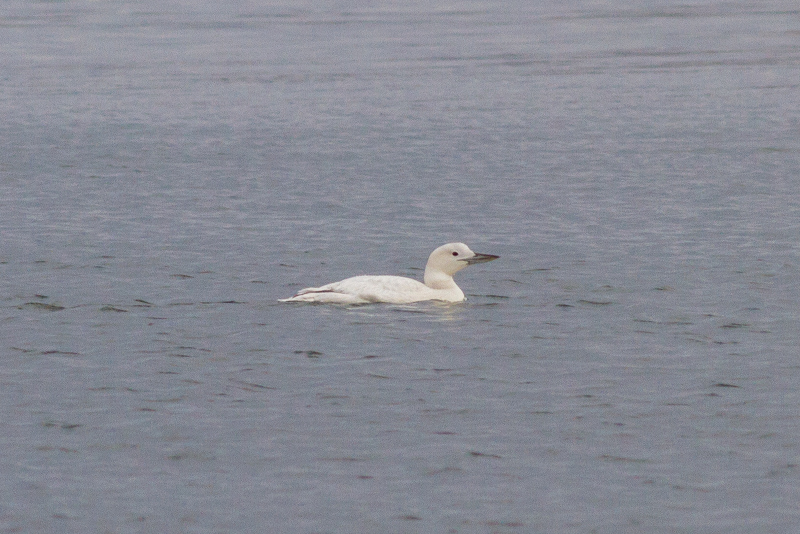 I was pleasantly surprised to come across a leucistic Great northern Diver. 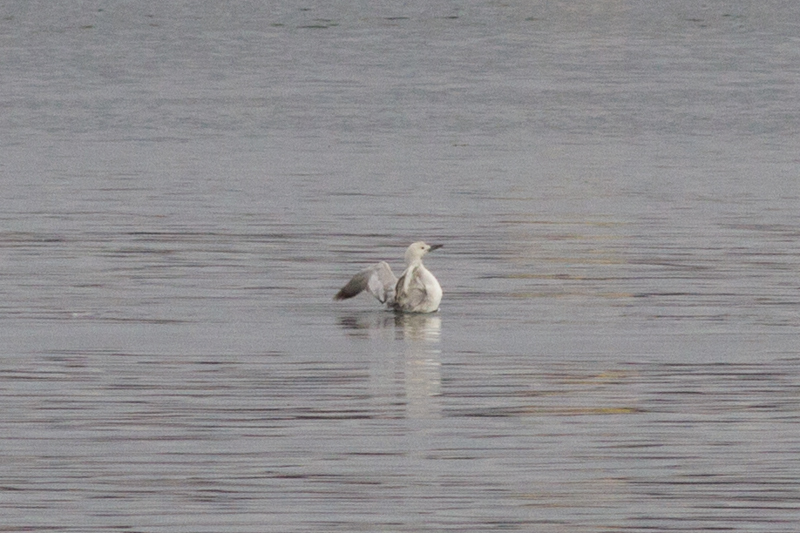 It looked also like a pure albino from a distance but the wings were less than white especially the primaries. 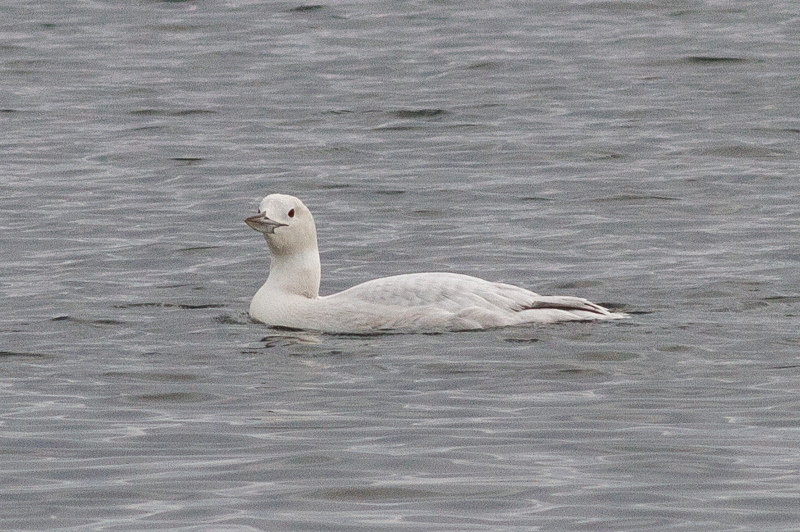 You could also make out the ghost image of the colour patterning on the head and neck at certain angles. 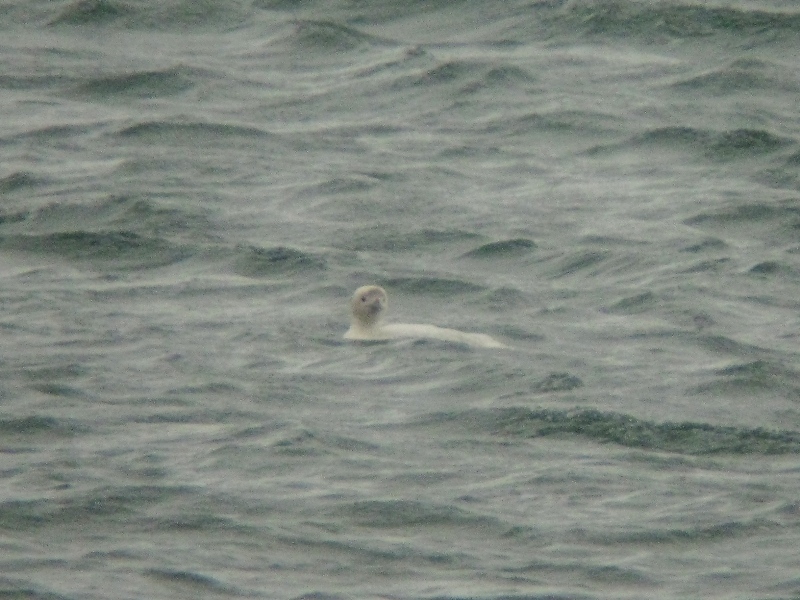 The bird had a bit of a habit of opening it's bill almost as if it was gasping especially just prior to diving. I'm not sure if this is a great sign of good health unfortunately? 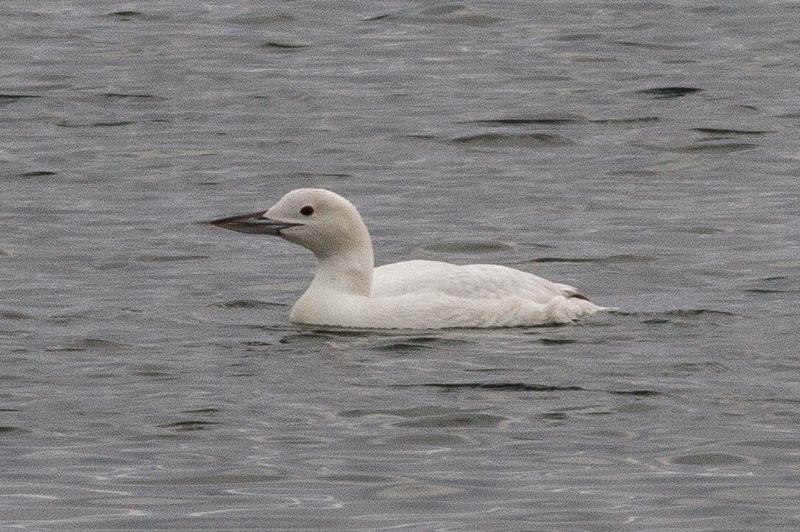 While doing a quick search online for leucistic Great northerns I came across a bird seen on Skye island, Scotland over the winter of 2015/2016 which looks very similar to todays bird - note the darker primaries along with the pale greater and median coverts contrasting with the darker lesser coverts and secondaries. 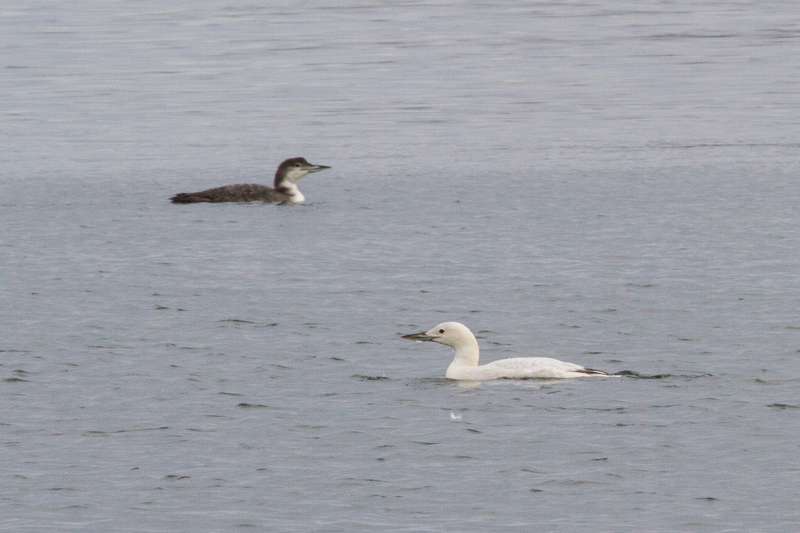 Leucistic Great northern Diver with a standard GND. 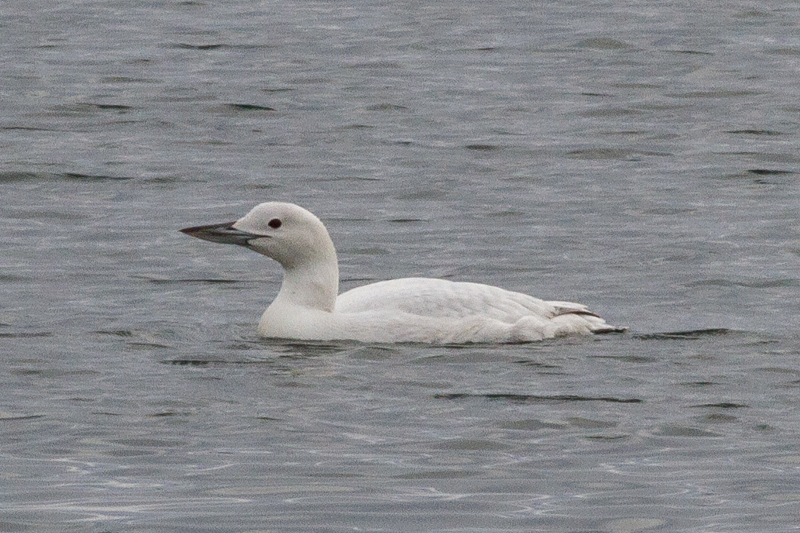 Leucistic Great northern Diver with some of the fish cages in the background. 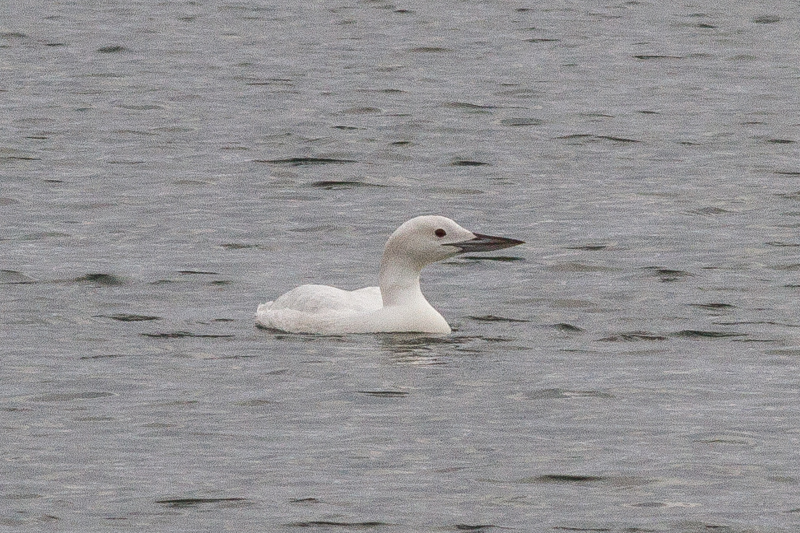 Leucistic Great northern Diver, Tully Cross, Renvyle, 6th April 2011.